With the dawn of a new year comes wishes and promises of changing and upgrading for the better. For many of us, this comes in the form of cleanliness, getting organized, and staying focused to tackle out goals heading into a new year. 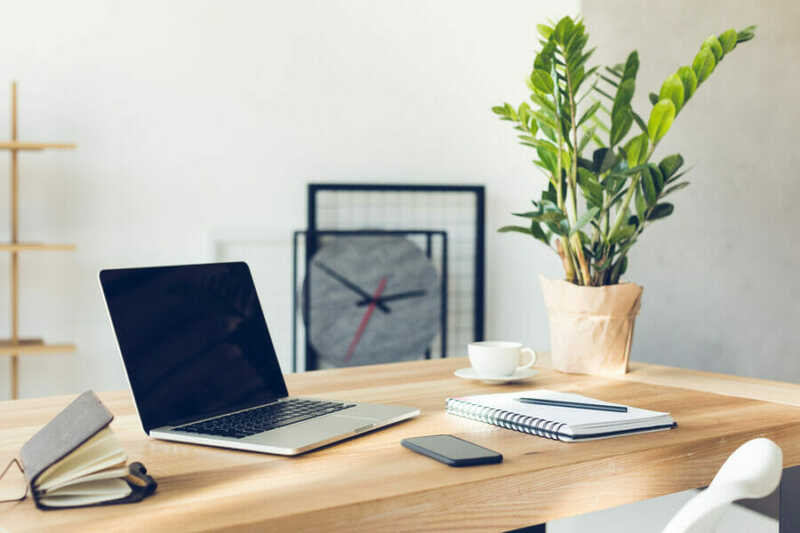 There are plenty of tips and tricks to help declutter your workspace and helping you stay organized to ensure that you are completely focused while at home or at work. Before actually decluttering, make sure to have a small idea of what items you want to keep and what you want to discard. Organize by importance and place the most used and essential items near an arm’s reach for easier access. Work from top to bottom and try to remember where you are placing everything and stick to it. Find the priorities and make sure you identify them within the work area. Assign spaces to everything and group similar items together. Managing documents and organization are both crucial skills to have when it comes to decluttering your desk. Know when to throw something out and when to simply place it within a folder for later. Keeping too many extraneous papers and documents out at the same time can inevitably accumulate and make their way onto your desk. Make sure to organize and file in a fashion that is quick and dependable. The last thing you want happening is panicking or finding missing items before an important meeting because you can’t remember where you placed your notes. Everyone is more comfortable working when the place they are working in feels organic. Don’t be afraid to bring in a few of your own personal items to help spice up the desk just a bit. Make sure to keep the items small and compact to avoid clustering. Think in terms of picture or office supplies; keeping your personality with you at work can work wonders for organization, focus, and morale. When we think of the typical office setting, we often think about a compact desk filled with plenty of distractions. This usually comes in the form of business cards, file folders, sticky-notes, and remnants of uncompleted projects all clamoring for an equal share of our attention. In situations where staying organized is the number one rule, make sure to remove the distractions and unnecessary items when attempting to declutter your desk. Drawers provide us all with a way to compactly store tons of volume with minimal storage space. Drawers are a great place to store all your project essentials, supplies, and tools; they can also add a touch of aesthetic to any boring office if done with taste. Drawers also allow you more essential workspace on your desk for the stuff that actually matters in present time. A computer often comes hand and hand with a desk most of the time – use it accordingly to your advantage. Learning a simple notebook, calendar, and contacts program or app can completely kill off those webs of sticky-notes lingering around your office. Organize your digital files accordingly and watch in awe as organization falls right into your lap. Your computer is your best friend when it comes to staying organized and keeping track of your time and agenda. Actually expanding might do wonders for your organization and moral. If possible, it may not be out of the question to consider expanding or enlarging your workspace to add some extra storage and leg room for more comfort. Even if expanding in volume is not an option, using every inch of space to your advantage (such as raising your computer monitor to allow more storage) is a great way to switch up the vibes in the office while also decluttering. Create hidden storage space; when there’s a will, there is always a way. Productivity is often linked with the idea and feeling of not being overwhelmed. Make sure to leave an empty space if possible, somewhere on your desk at all times as a sort of safe zone for your work and increase clarity. It’s annoying and quite frustrating when your hands and elbows are constantly grazing and tapping on something for hours on end. When you become frustrated and flustered, chances are, you won’t get as much work done as possible. Although a serious organization and decluttering is needed every once in a blue moon, do not think excessively about it. Always remember that at the end of the day, it’s absolutely okay to let things get a bit sloppy. Learn to recognize when it’s time to declutter and when it’s okay to let it go until tomorrow. Decluttering your desk is not simply a one-time task. The success of maintaining an organized and focused workspace is to constantly keep it monitored and under control. Whether it is every Friday before leaving the office or right when you clock in, make sure to set aside an appropriate time frame for you to clean and organize your space to ensure that you will be getting the must functionality and efficiency from your time spent at the job.